Learn these coding tricks to become a more agile marketer. As a marketer, you craft blog posts, publish landing pages, and send email campaigns. While you may not be a webmaster, having a few HTML tricks up your sleeve can make you more agile and efficient, without having to rely on a webmaster's help. 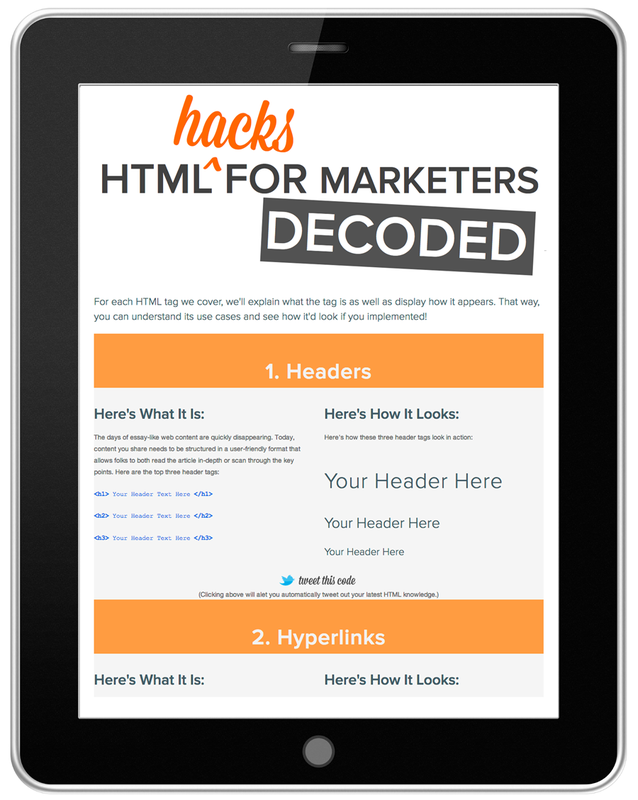 You'll be able to access this free guide any time to reference these HTML tricks.